Psst! The Toronto Tea Festival is this weekend! I’ll be there tomorrow to check things out, attend some sessions, and meet up with friends. If you’re in the Greater Toronto Area, why not stop by and start (or continue) your tea journey? You can get a sneak peak of the vendors by checking out this review. Or this one. Or this one written by my friend Jess, a travel blogger. 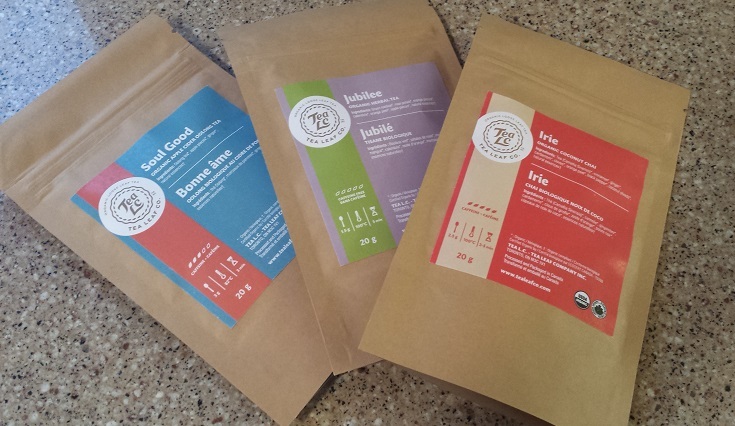 Sanne Tea is a tea company that just launched last year and specializes in Taiwanese teas. As part of their launch, they offered free samples to tea drinkers online, and I took them up on it. So let’s look at two of their teas today: their Bao Zhong and Oriental Beauty oolongs. The tea comes from Pinglin area, one of the oldest tea regions in Taiwan. The tea farm is in Cuku, Pinglin District, near the Feitsui Reservoir area. The environment is strictly protected in this area. Though other areas also produce Bao Zhong Tea, this Bao Zhong Tea, also called Wen Shan Bao Zhong Tea, is recognized as the best quality and the best fragrance. The dry leaf for the Bao Zhong oolong is long and twisted, dark forest green, and somewhat feathery. It looks lovely. But more than that, it smells amazing — rich, buttery, and floral. The floral creaminess and grainy undertones intensify when the leaf gets warmed up in the gaiwan, and the whole thing reminds me of uncooked jasmine rice, or butter on toast. I took the entire 6-gram sample and chucked it into my gaiwan. The package came with steeping instructions, but since my gaiwan can hold only half the water that the steeping instructions require, I cut the instructed steeping time in half to compensate. However, I kept the steeping temperature (90°C) the same. The first steep was 40 seconds long, and the resulting brew was clear and light golden, with an intensely floral and buttery smell reminiscent of magnolias or gardenias. Wow! The aftertaste was sweet and grassy, and played along the sides of my tongue. The second steep, for only 40 seconds, was a bit darker. The second steep is also stronger in flavour and more distinctly floral than the first steep; it reminded me of perfume. The third steep was similar to the second, but it had a more mineral, sweet aftertaste. Overall, the tea stayed pretty consistent from steep to steep — I did about 8 steeps, and while the last few were more mineral, the colour didn’t change much. I also have to note that the tea leaf was very high quality, because there were very few instances of broken leaf or tea dust clogging my strainer as I poured the liquid out into my cup. The wet leaf for the spent tea was a deep spinach green. So far, Sanne Tea has really impressed me! You can buy Sanne Tea’s Bao Zhong oolong here. The setup for this tea was pretty similar: I used up the whole 6-gram sample, steeped it with 80°C water, and used half the steep time recommended on the package to compensate for using only half the water. The dry leaf is dark, curly, and multicoloured, with yellow and white flashes throughout; it smelled of plums and honey. 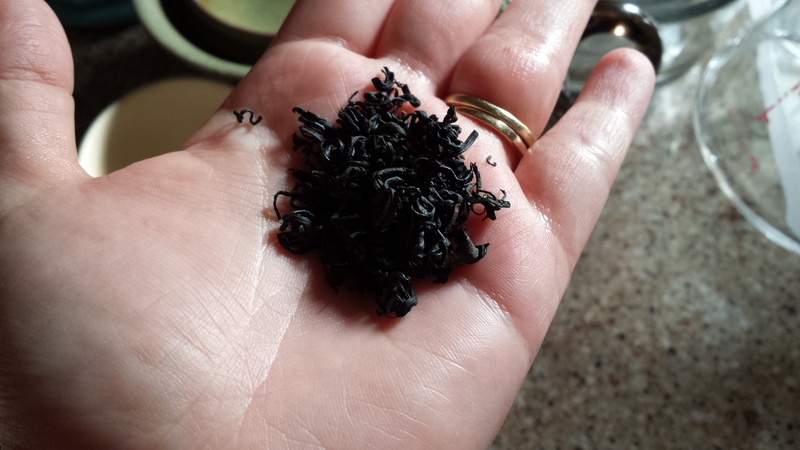 However, after I steeped it, the sweet smell deepened into something closer to tobacco. The first steep was for 60 seconds, and resulted in a cup of light amber liquid with sweet, papery, and woody overtones. 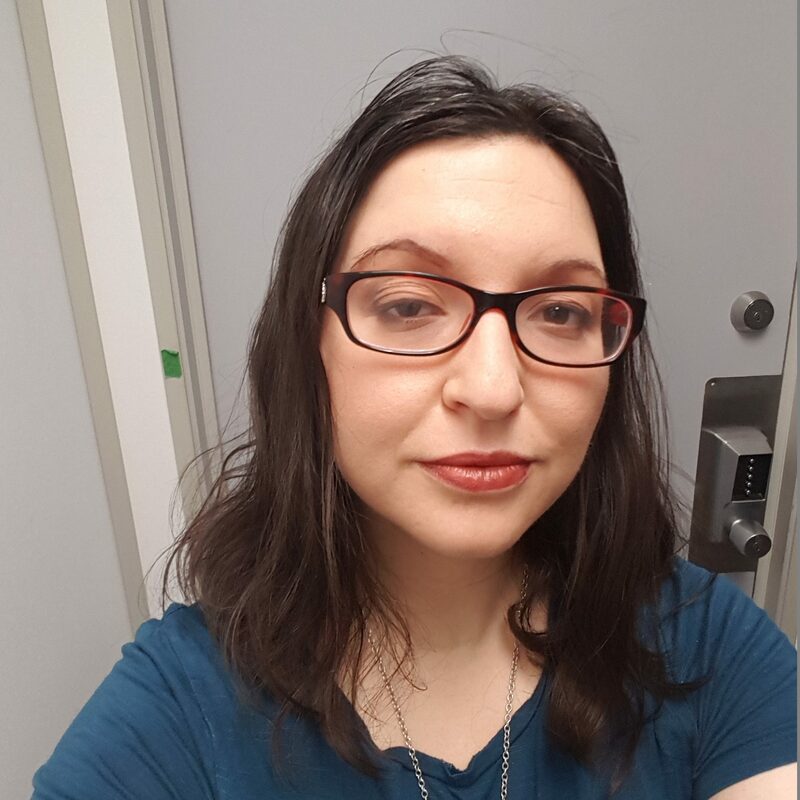 On my tongue, it was sweet and woody, and there was also a flavour slipping along the bottom that made me think of birch bark — dry, cool, wispy, papery. The mouthfeel was thick and it coated my tongue, providing a metallic aftertaste and a syrupy sweetness similar to Thompson raisins. The second steep was much darker than the first, with a deeper amber colour like beer. The flavour also intensified, with notes of raisins, honey and birch bark coming to the fore. 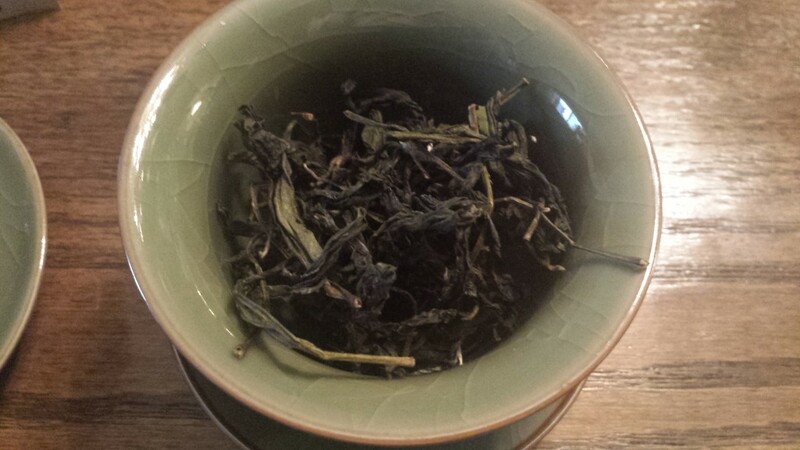 As with the Bao Zhong, I noticed that the quality of the leaf was very high; I found very few broken leaves, leaf fragments, or dust in my strainer or cup. The third steep was even darker and stronger-tasting than that, although the honey flavour receded. Instead of sweetness, I tasted metal. The fourth steep was fairly similar to the third steep. 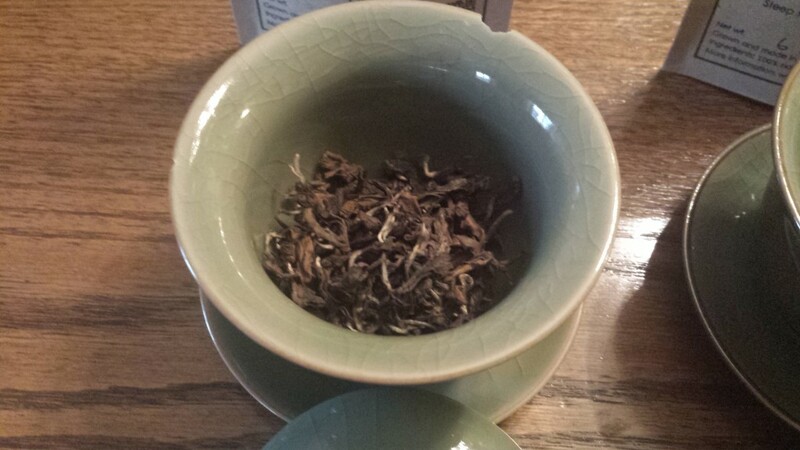 However, as I continued to steep (I did 7-8 in total), I noticed that the mouthfeel became thinner, dryer, and woodier. 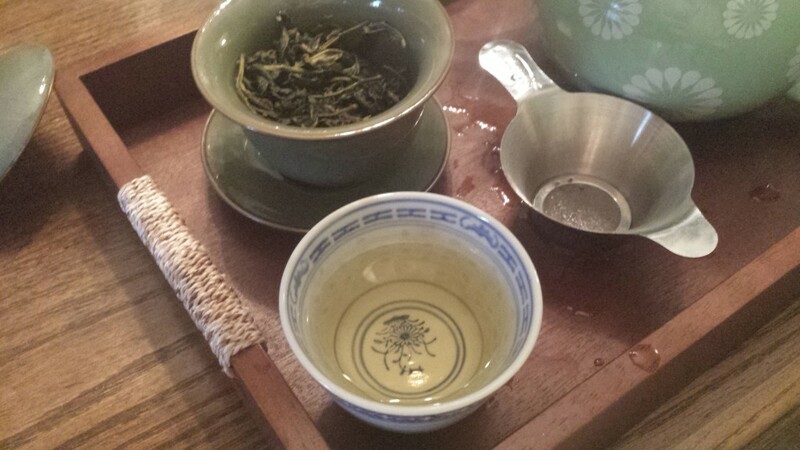 You can buy Sanne Tea’s Oriental Beauty oolong here. 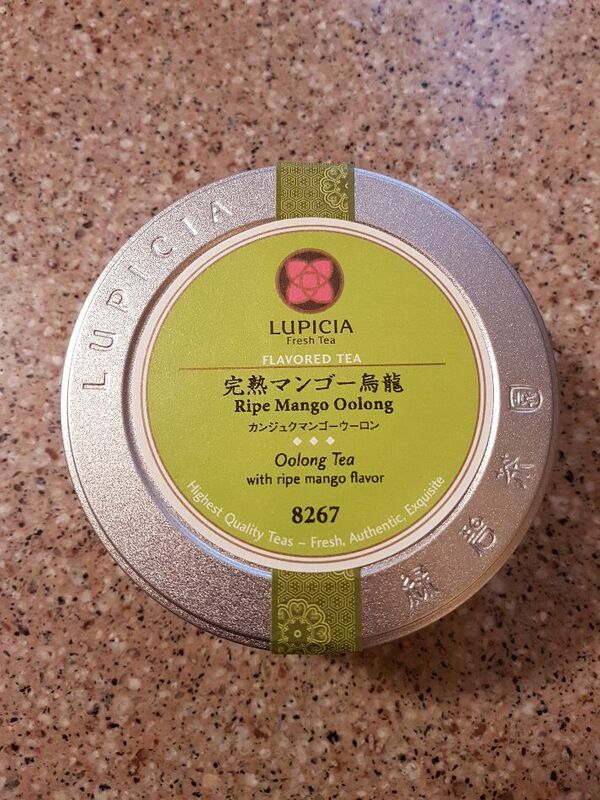 I was pleasantly surprised by how much I liked these two oolongs. Sanne Tea has done a very good job here; the leaves are very high quality and very well preserved in their packaging, so you’ll be getting a good experience out of this. Love their teas. I was impressed as well!